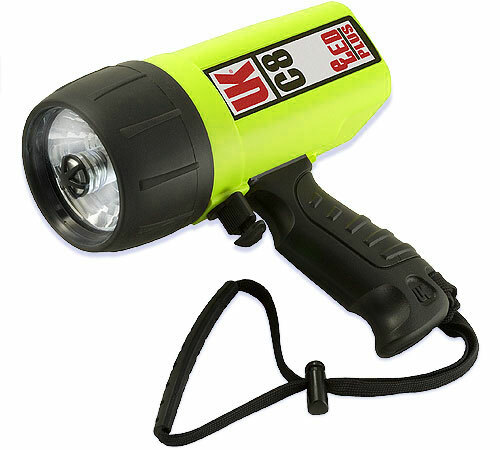 The UK Mini Q40 dive light has a host of great features! Tough, non-corroding ABS and polycarbonate plastic construction. Designed to make divers more visible at night. The flashing red light can be seen underwater and on the surface. 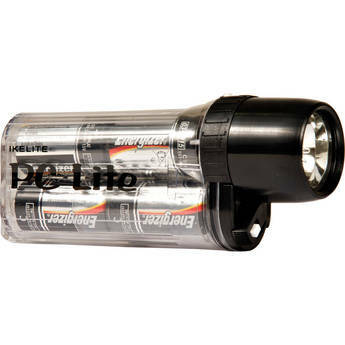 Features an O-ring seal, two AAA-size batteries (can run for 24 hours or more on one set), and an on/off function. The PC Series is an innovative design with a unique clamp system for ease in opening and closing. Brilliant intensity is provided by new Halogen bulbs specially designed for Ikelite. These bulbs utilize a standard PR style base allowing emergency replacement with bulbs available everywhere. The Pocket C-Lites are designed to be comfortably tucked away inside the pocket of your BCD so you can carry them with you on every dive. The PC Series is an innovative new design with a unique clamp system for ease in opening and closing. Feel it in your hand, experience the on/off switch, and marvel at the intensity and uniform beam pattern of this exciting new four "AA" cell light. This is the newest of our easy-to-open / easy-to-close PC series. A new four "AA" cell light doesn't sound exciting, but this is a very special application of Ikelite's easy-open / easy-close design. 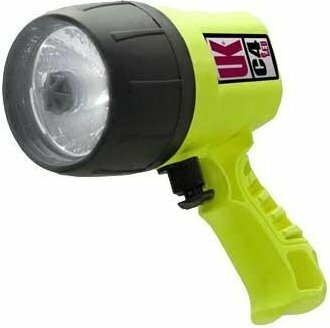 A special halogen 7.2 volt 7.5 watt lamp produces incredible intensity and an excellent spot beam pattern for almost 2 hours of burn time on a set of batteries. The light's unique switch mechanism allows for single handed operation. 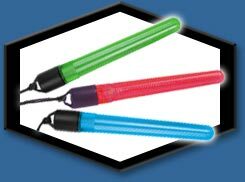 The durable plastic case with "O" ring seals provides safe operation up to 300' (90 meters). 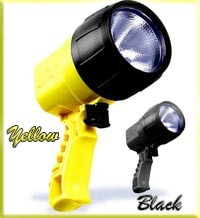 Replaces chemical light stick, making it environmentally friendly; reusable for hundreds of dives. Uses as a buoy marker light or to identify different divers. Constant-on model lasts over 12 hours between battery changes. Choose superbright red or green. Rated to 350 ft depth, which makes it great for scuba diving. Uses A76 button cell alkaline batteries available at most department stores. Batteries included. Huge savings over other battery operated marker lights! 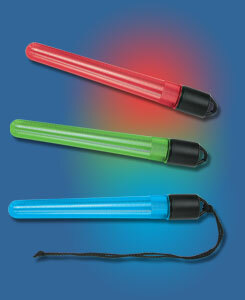 Similar in size to a chemical light stick, the entire lens glows super bright green! Comes in Constant-On or Flashing models. Lights last 12 hours (constant-on) and 20 hours (flashing) between battery changes. Rated to 350' depth. Batteries included. The most unique feature of this light compared to competitors is the type of beam it projects. Rather than producing a bright center spot which fades quickly to dark, the UK 2AAA eLEDÂ® projects a soft edged disk of even illumination. This is made possible by a compound lens optical system designed specially for the 2AAA eLEDÂ®. From a distance of 24 inches the beam is about 6-7 inch in diameter or about 16 degrees. This type of illumination is very useful when trying to read a map or view a work area up close. A Nylon clip is included for attaching the light to safety glasses or the brim of a cap for task illumination. The high intensity Mini Q40 eLED features a twin-element projection optics system which creates a medium beam underwater for excellent close-up viewing of marine life. The 2-watt LED emitter gives light as white as daylight which travels farther than conventional incandescent light and lasts for thousands of hours without burning out. 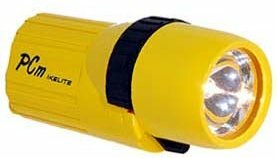 This makes for a good safety back-up as well as a close-up light. Underwater, you can stow it out of the way in your BC pocket for when you go over the wall or peer deep under a ledge. 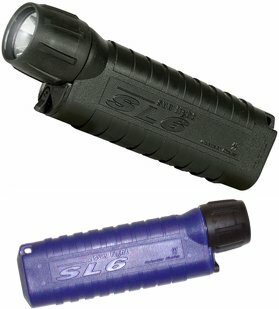 As a back-up, the SL4 provides plenty of illumination to finish your dive. The eLEDÂ® circuitry provides relatively constant brightness throughout most of the life of the batteries. As the batteries are nearly depleted the brightness of the LED falls sharply, but does not go out as happens with classical filament lamps. This brightness will persist for several days. Valuable for emergency situations. 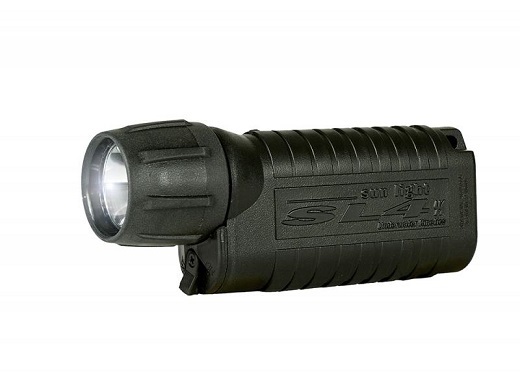 The SL4 produces a narrow and penetrating beam for seeking out unique marine life found under ledges. It also works well attached to protective head gear in technical diving applications. Brighter than lights twice its length! Unique side-by-side battery configuration. 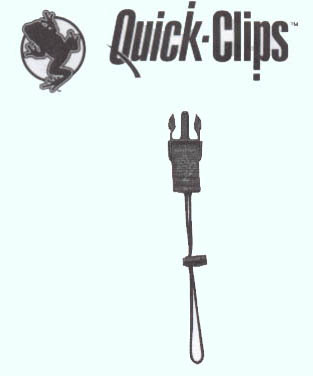 It starts with a unique dual power electronic circuit to control the matched pair of 5-watt white LEDs. Polarized battery contact plates make it possible to interchange individual battery cells and rechargeable packs as well as prevent potentially dangerous reverse battery insertion. 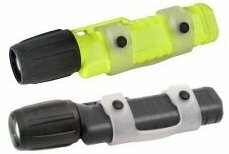 The rubber lens guard, non-breakable locking switch and interchangeable handles are examples of diver hardened construction throughout. The C8 eLEDÂ® Plus is the brightest in its class, perfect for piercing the darkness and looking into the great unknown. Depth rated to 500 feet. The SL3 eLED is UK's latest high performance LED dive light designed with a divers tight budget in mind. The exclusive CPO optics guarantees a tight beam with minimum spill light and the Thermal Recovery System recycles wasted heat from the LED back into the battery for increased brightness and burn time. A non-corroding resin case, double o-ring seals, 500 foot depth rating and a rear stainless steel attachment loop as well as 98 lumens output and 30 hours run time all make the SL3 worthy of clear water diving or as an essential technical diving back-up light. Unlike the standard glass envelope lamps used since Edison, the LED will not break when dropped. The life expectancy is well over 5000 hours. The light emitted by the LED (light emitting diode) is similar to sunlight and travels farther underwater than the more yellow light from an Edison lamp. In addition a power control circuit is built into the light to help maintain the same brightness throughout the discharge of a set of batteries. A tough O-ring sealed ABS and polycarbonate case protects the components all the way down to 500 feet. The small size of the C4 eLEDÂ® makes it ideal for revealing the incredible marine life hidden under ledges. Have it all with the Rechargeable Upgrade Kit. 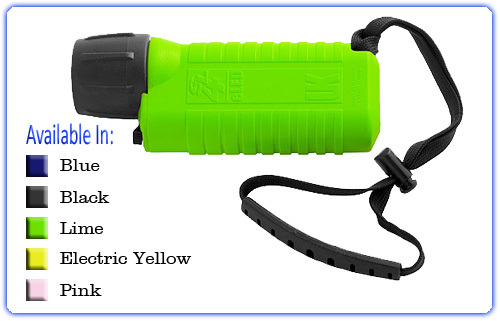 It includes our 2.8 AHr rechargeable nicad pack with 120 VAC 10-hr charger. 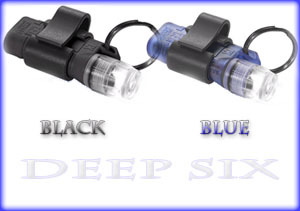 A pair of water cooled high intensity LEDs delivers over 5 watts of power. Brightness increases up 40% underwater with UK's unique LED water cooling design. Powered by 4 disposable Alkaline, Nicad or NiMH C/LR14-cells.